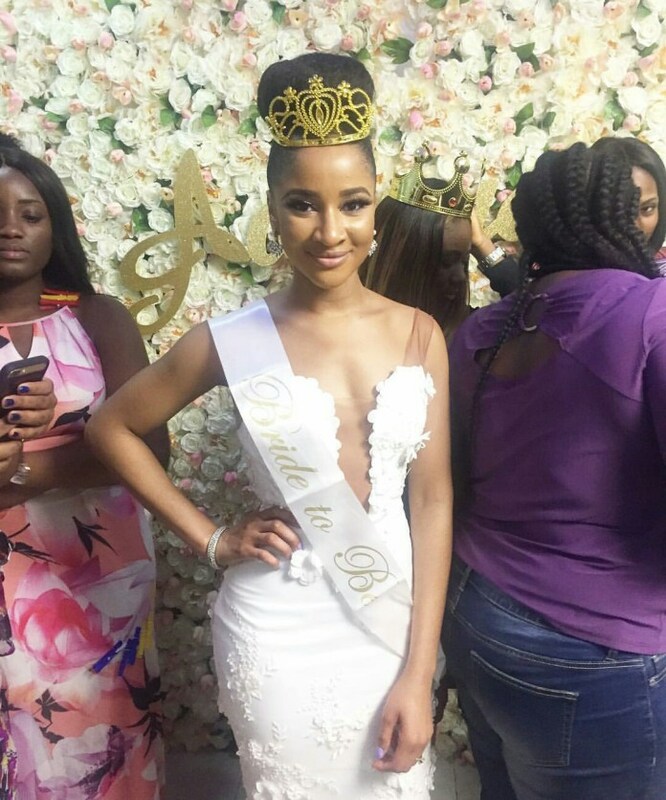 Nollywood sweetheart Adesua Etomi is finally ready to walk the aisle with the love of her life Bankole Wellington aka Banky W.
The delectable actress was treated to a surprise bridal shower yesterday by her close friends in preparation for her white wedding next weekend in south Africa. 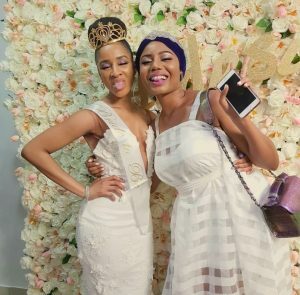 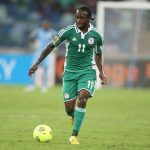 The Royal themed shower was well attended by Nollywood colleagues of Adesua Etomi including some other friends from across the entertainment industry. 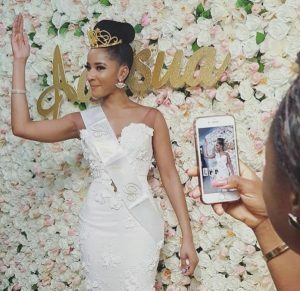 Dressed simply in a beautifully cut white dress, Adesua was a vision to behold and we can’t help but wonder how gorgeous she would look on her wedding day! 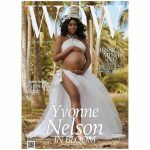 GHANAIAN ACTRESS YVONNE NELSON GLOWS IN MATERNITY PHOTOS FOR WOW MAGAZINE. 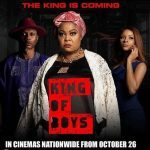 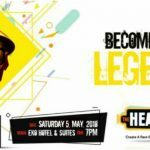 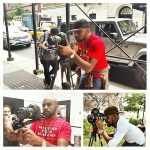 6TH EDITION OF NIGERIAN ENTERTAINMENT CONFERENCE TO HOLD IN LAGOS ON APRIL 25.